Sleep, the most underrated healthy habit I perform because it’s done out of necessity instead out of free will. You see I have trouble going to sleep because along the way I picked up some unhealthy habits that made it difficult for me to fall asleep. Around a month ago, I systematically got rid of these unhealthy habits to help ensure I got the best sleep I need so I can be at my optimal when I wake up. About a year ago, I swapped an old mattress for my very first memory foam. When I first got it, it was amazing! 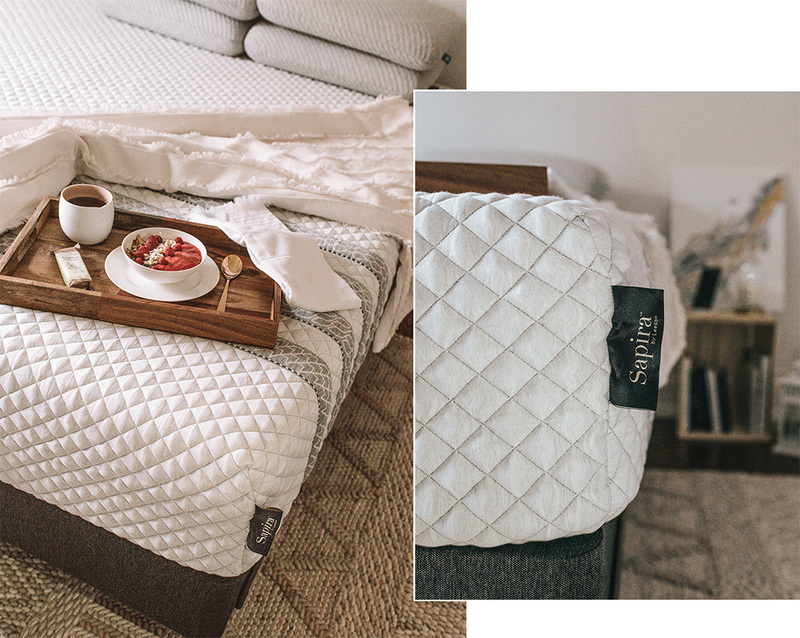 Switching from a coil mattress to a memory foam was a huge upgrade in the quality of sleep I was getting and my body was in love with how extremely firm the mattress was. But somewhere along the way, the firmness started to get to me and I slowly noticed that it didn’t conform to my body like it used to. My first unhealthy habit was I just accepted that mattress was uncomfortable and didn’t do anything about it. Up until I noticed that I needed to swap for a mattress that could provide me with great support and conform to my body. It’s why I recently switched to the Sapira mattress, by Leesa. 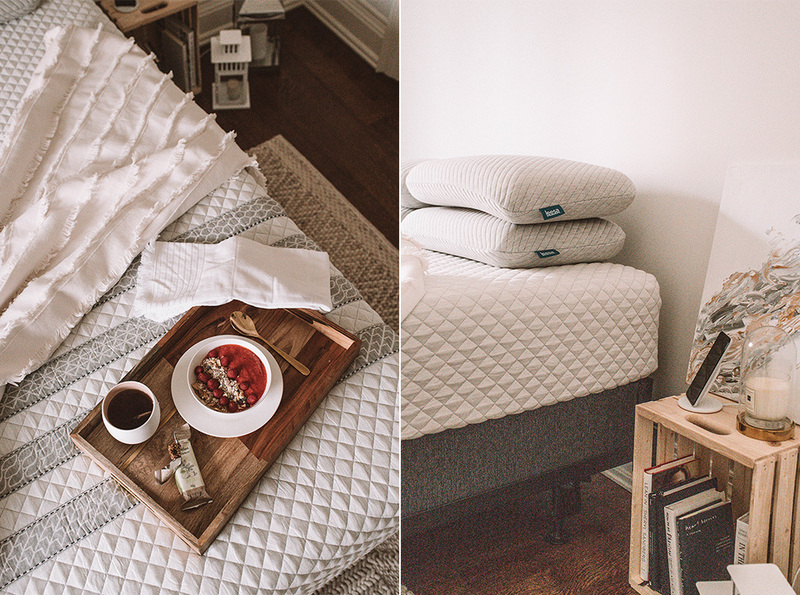 After a month of sleeping on the Sapira mattress by Leesa, I noticed a significant difference from our old mattress. The Sapira mattress hugs and conforms to my body shape because it’s a hybrid mattress. It has the three unique layers that helped me achieve maximum support my body needs and molds to my body at the same time. What makes the Sapria mattress unique is it’s a hybrid mattress – it has an Avena® Foam, a Memory Foam, and a Support Foam. 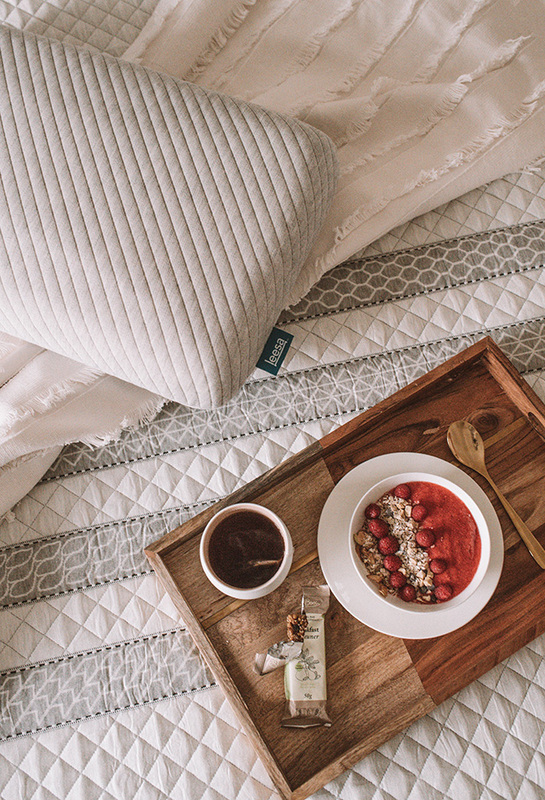 The Avena® Foam is my favorite because it’s the responsive material that allows airflow through the mattress so I can get that cool night sleep. Plus it also provides me that bounce and freedom of movement. The Memory Foam provides me the support I crave and the Support Foam – conforms to my body! Another favorite item I picked up from Leesa is their pillows. Before I got their pillows, I actually slept with my arm below my head (no jokes). I struggled for the longest time finding the right pillow for my head. Every pillow I tried was either to flat or too fluffy. The first night I tried the Leesa pillow was amazing! 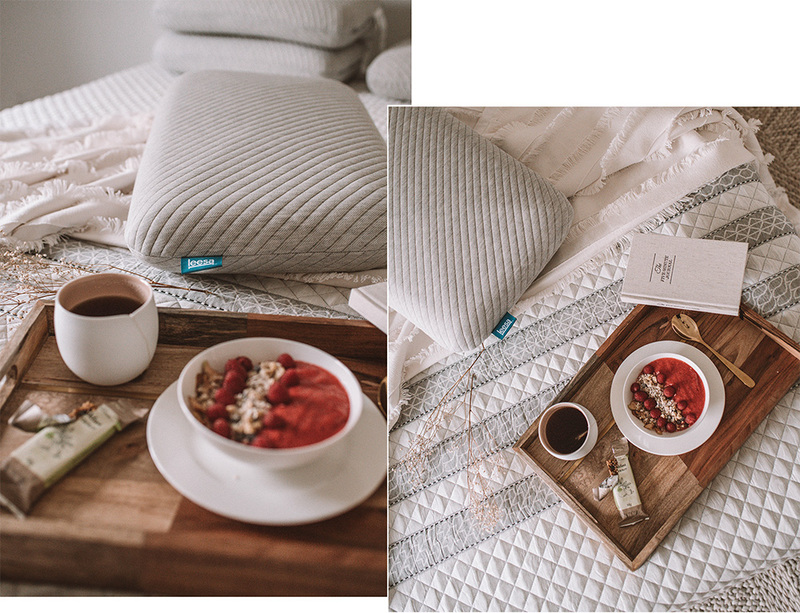 Who knew memory foam pillow made of Avena® Foam would do the trick. The Leesa pillow was perfect because like the mattress, it forms and supports my head while providing airflow ventilation that will keep my head cool all night long. My second unhealthy habit was doing my work where I sleep. Before I had my twins, I always worked in my office or at a coffee shop. I would also always power-down my laptop and put away my mobile device at around 1030pm. In the last few months, I have found myself so caught up in a project that I have trouble putting it down when it’s time to go to sleep. So, I will actually take my laptop to bed with me (extension cord and all) and work until my body starts to shut down. Around summer, I stopped bringing any electronic devices to my bed. No laptop, no tablet, and no mobile phones. Well, the mobile device was perched in a docking station by my bedside but you get the idea. I also found that rubbing some oils on my jawline, temples, back of my head and wrist to be really helpful to relax my brain and lull it to slumber. The SleepWell from Saje is my personal favorite. The last unhealthy habit I had was sleeping in old scratchy flannel sheets. I got my old set of flannel sheets because I fell in love with the print. I had no idea that sleeping if flannel sheets would feel like sleeping in an oven. Once I got my new mattress, I swapped my sheets for this new set from Calvin Klein and it has been amazing! The 600 thread count sheets feel soft and cool to the touch, plus I don’t feel like I’m sleeping in an oven. Ever since I got rid of my three unhealthy habits, I found I sleep a lot better than I used to. Oh, and I should mention that I originally got Sapira mattress by Leesa for the guest bedroom. But after the first night we slept on the Sapira and had the best sleep in a long time, we decided we needed the mattress more than our guests (sorry, not sorry). This mattress sounds like heaven! So do these pillow. Thanks for the reminder about leaving the electronics out of the bed.